Talk about black history. Houston's Dr. Thomas F. Freeman has been teaching speech and debate at Texas Southern University for more than half a century. No wonder two-time Academy Award winner Denzel Washington flew from New York to Houston to seek the advice and consultation of Freeman for the movie The Great Debaters. As we celebrate black history month, a collage of speeches and dramatic interpretations will be recited to honor and commemorate the heroes of the civil rights and labor movements. One common attribute that seems to weave its way through the personal characteristics of the leaders of both movements is the ability to communicate effectively. It is well known now that many civil rights, labor and spiritual leaders who lead change organizations were on their college debate teams or had received some type of public speaking training. James Farmer, Thurgood Marshall, Dr. Martin Luther King Jr., Malcolm X (prison debate team) and Congresswoman Barbara Jordan, just to name a few, were all trained in the art of speech and debate. Jordan credited and praised Freeman, head coach of the TSU debate team, for helping her develop and master her communication skills. "I thought I had superb diction and that no one would need to correct anything," Jordan said. "Thomas Freeman found a flaw and worked on it until it was corrected. I cannot overestimate the impact and influence Dr. Freeman had on my life." It is well known that the fear of public speaking and the fear of death are opposite sides of the same coin for most people. It doesn't matter how educated you are, if you can't communicate well, you will be relegated to the margins of society. 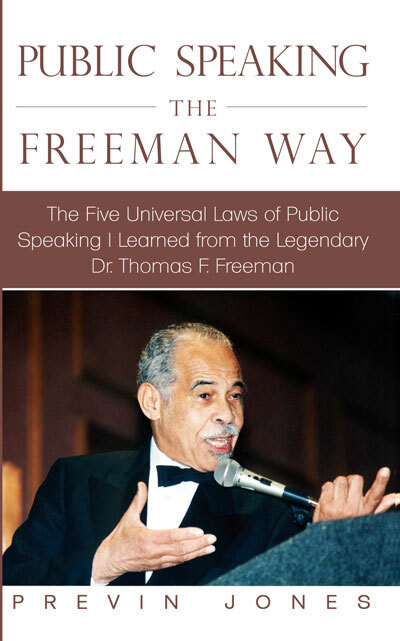 As a student of Freeman, through observation and instruction, I learned that there are specific laws of public speaking. If these laws are applied properly, you will deliver an effective presentation 100 percent of the time. The first, and most important law, is, master your mental self. As a student of Freeman, I often wondered where his majestic stage presence and bold confidence came from. You must understand that public speaking doesn't start with the mouth; it starts with the mind. What is the source of Freeman's public speaking mastery? He lives his life from an empowered belief system steeped in his personal faith and a strong sense of personal purpose. When he walks onto a stage or into a room to deliver an address, he walks with the confidence of a commander preparing for the toughest theater of war. He walks with a confidence that says, "I know who I am and where I am going - follow me!" Before you say one word, members of your audience are watching you. What are they looking for? Confidence. That's it. That's the first step in conquering your fear of public speaking. Knowing who you are and where you are going in life will manifest itself in your verbal and nonverbal discourse. Before you learn specific tactics and strategies of effective public speaking, you must first develop your mental self - the powerful person behind the words. In the movie The King's Speech, King George's speech therapist tells him in a heated argument that he is there to help him find his voice. 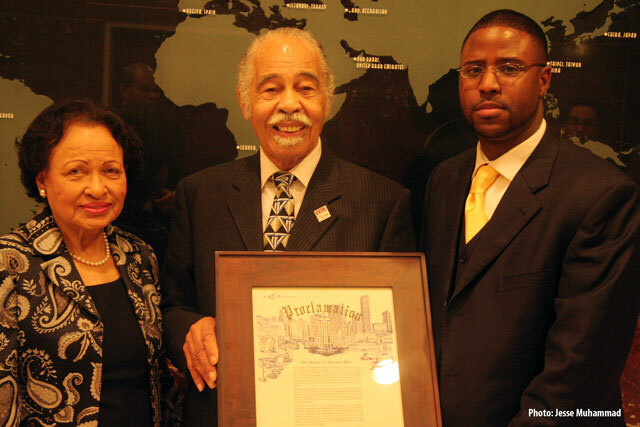 That's what Thomas F. Freeman has been doing for more than 60 years at TSU. Helping people find their voices. nice post. what donations have been made to the debate team?